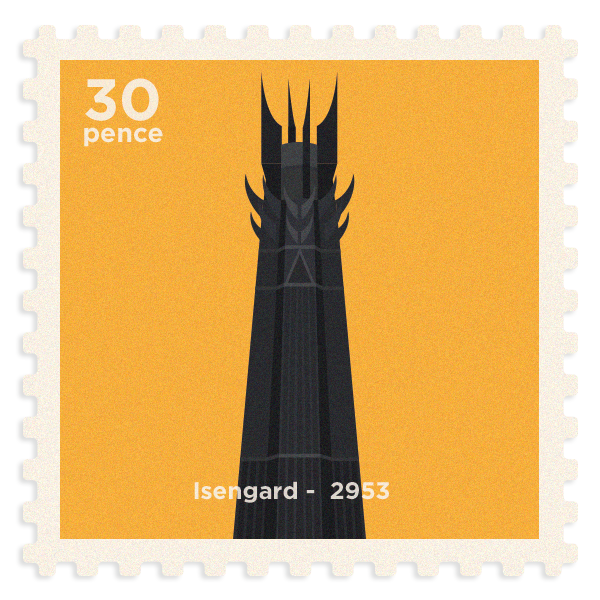 London-based graphic designer Yvonne Michaelides has created a beautiful set of stamps, featuring the iconic landmarks from the Lord of the Rings. 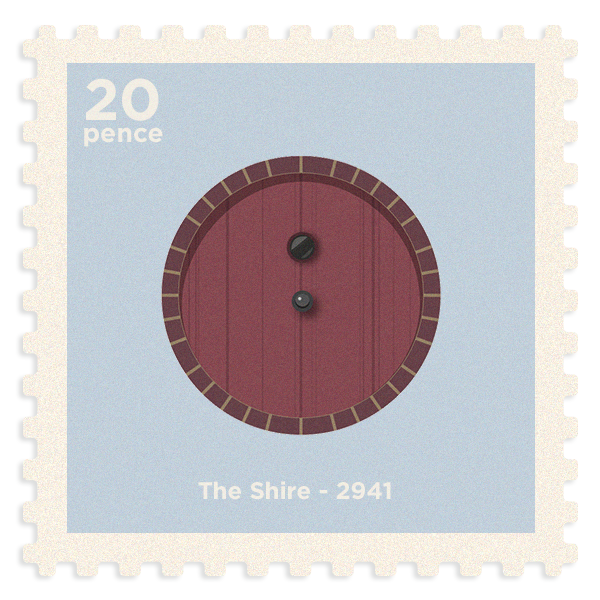 The series, titled ‘Greetings from Middle Earth’, showcases locations like the classic round doors from the Shire, and the tower of Isengard, in simple yet impactful, flat illustrations. 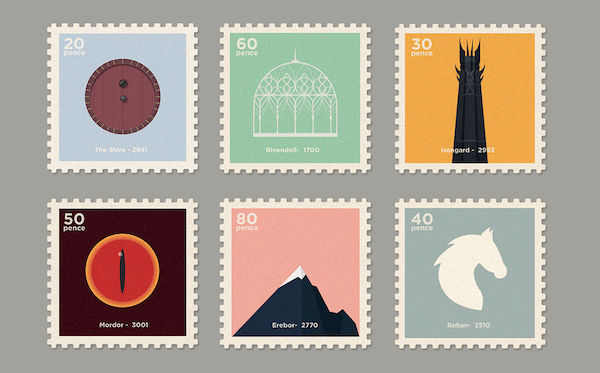 These are designed as stamps, imagining them as real locations that one can send post from. 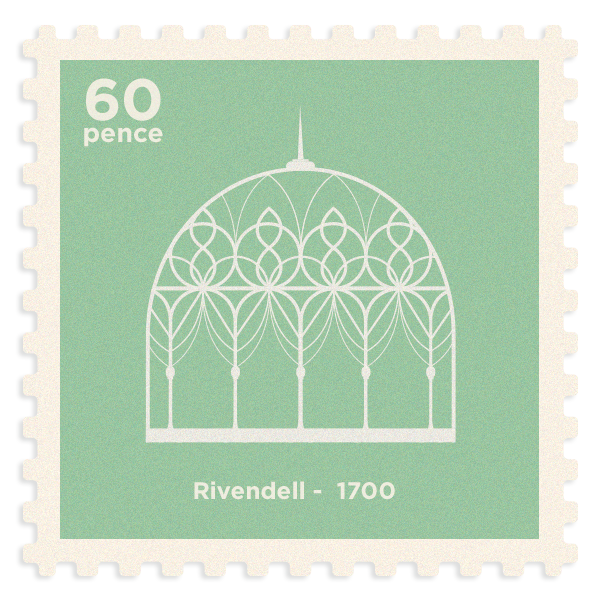 The numbers on the stamps indicate the years in which significant events occurred at these locations. 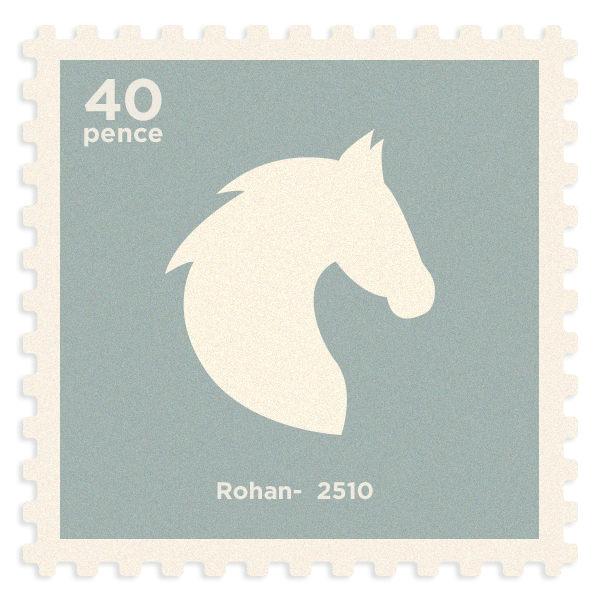 For example, Rohan was founded in 2510. 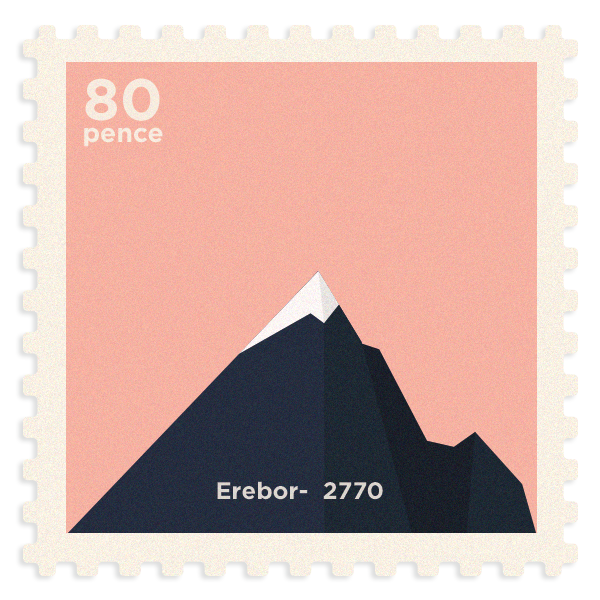 Scroll down to view her creations, and head here for more.